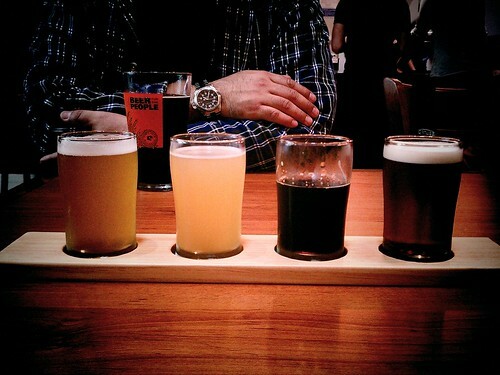 Beer flight at Eagle Rock Brew Co. So enticing! This was the lineup at the Eagle Rock Brew Co. on a Brewery Ride with Flying Pigeon LA bike shop.